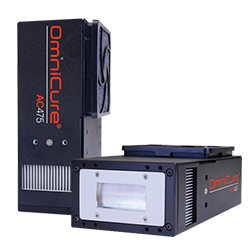 The OmniCure® S1500 spot UV curing lamp provides automated manufacturers with industry leading control, reliability, and high intensity irradiance in a versatile UV mercury lamp system. 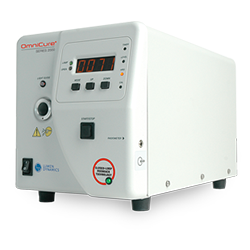 Offering precise control of UV lamp output and high-speed shutter activation capabilities, the OmniCure S1500 spot UV curing lamp is ideal for the high throughput UV adhesive curing and automated bonding processes involved in microelectronic and optoelectronic manufacturing. 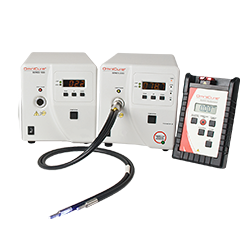 Recognized as the global leader in bonding systems for precision assembly with light-cured adhesives, the OmniCure® family of products provides the power, control and repeatability demanded by high-speed automated manufacturing assembly. 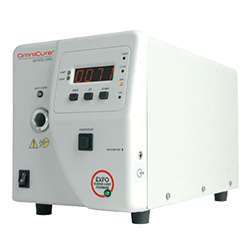 The OmniCure® S1500 UV Spot Curing System builds on that leadership by providing firstrate quality, precision and versatility in an easy-to-use, costeffective system. 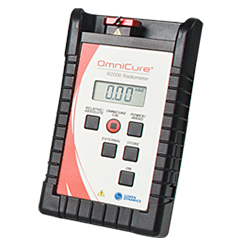 The OmniCure® S1500 is also designed to adhere to regulatory validations and is RoHS compliant. 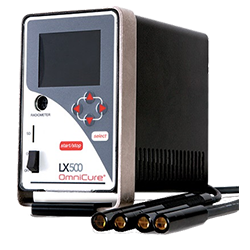 At the heart of the OmniCure S1500 & S2000 UV curing system is the unique Intelli-Lamp technology. The OmniCure Intelli-Lamp is guaranteed to strike for a minimum of 2000 hours operation with a maximum-use lifetime up to 4000 hours. 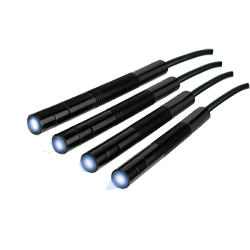 Snap-in insertion enables quick and easy Intelli-Lamp installation, while ensuring consistent optical tube and UV sensor alignment. Each Intelli-Lamp chip module automatically records and maintains the UV lamp hours of use to facilitate activation of lamp warranty if required. The Intelli-Lamp provides output across virtually the entire visible and UV spectrum, making it suitable for a wide range of adhesive/substrate bonding applications. 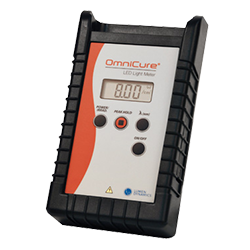 The OmniCure® S1500 has a multitude of built-in features that provide greater control, precision and versatility. Features include an adjustable iris, patented Intelli-Lamp® technology, selectable bandpass filters, process alarms, and ‘lock out’ protection, most of which are found only in higher-priced curing systems. Lamp of 200 W with life expectancy guaranteed to be at 2000 hours. Output of adjustable light by increments of 1 %. Offer a signal of multi-purpose triggering, which allows to choose the mode edge or level. Less frequent changes of lamp, what reduces the costs of functioning.